3 Bedroom Semi Detached Bungalow For Sale in Nottingham for Asking Price £220,000. 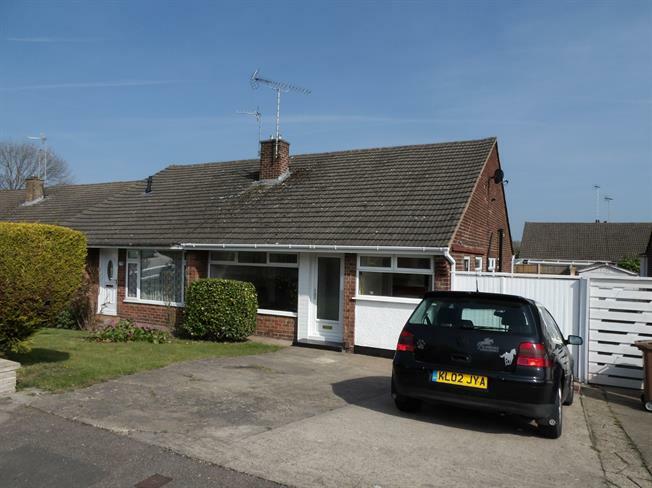 Three bedroom semi detached bungalow which is being sold with no upward chain. The property has been much improved by the current owners and viewing is highly advised to appreciate this stunning property. The accommodation comprises entrance hall, lounge, new fitted kitchen, inner hall, three bedrooms, bathroom. Front and rear gardens, driveway. NO CHAIN. UPVC front double glazed door. Radiator, carpeted flooring. UPVC side double glazed door. Double glazed uPVC window facing the front. Radiator, part tiled walls. Roll edge work surface, wall, base and drawer units, one and a half bowl sink, electric oven, electric hob, over hob extractor, space for washing machine. Single bedroom; double glazed uPVC window facing the side. Radiator, carpeted flooring. Double glazed uPVC window facing the side. Radiator, part tiled walls. Low level WC, panelled bath, pedestal sink. To the front there is a lawn, hedge, driveway. Rear gardens comprising lawn, fencing, paved area.